You can’t go past this year-round wardrobe staple. 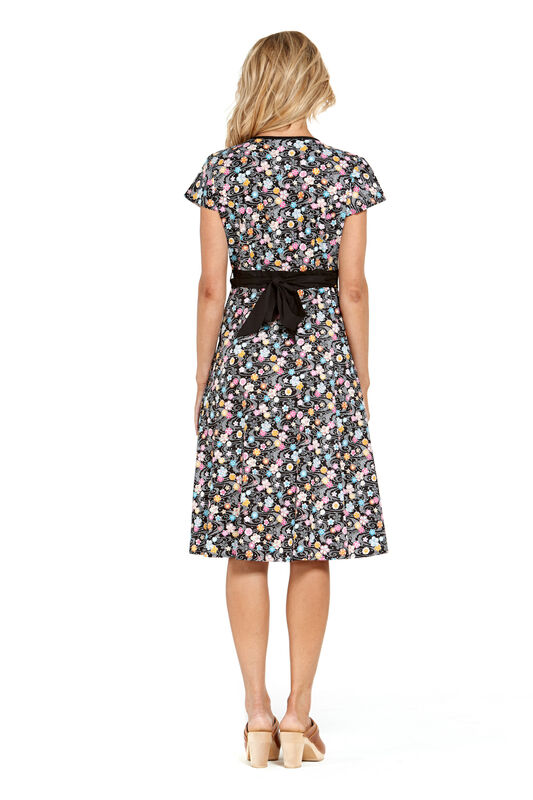 The popular Rasaleela Leela wrap dress has become a favourite for many over the years. Perfect for everything from work to evenings out, it has a super generous bust area, which can be adjusted with the waist tie, but allows for great coverage and a lot of overlap. The skirt is cut on a circle, allowing lots of room to adjust and move with comfort. 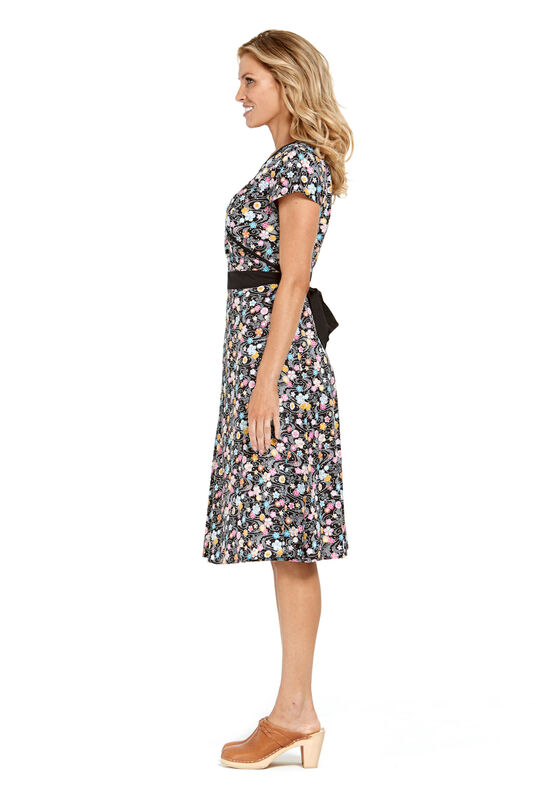 Our gorgeous Japanese " Kanji " Print in limited edition with its Black base and pink ,yellow, blue and white flowers makes an impact yet with the neck and waist in a Black trim, creates a super flattering silhouette.